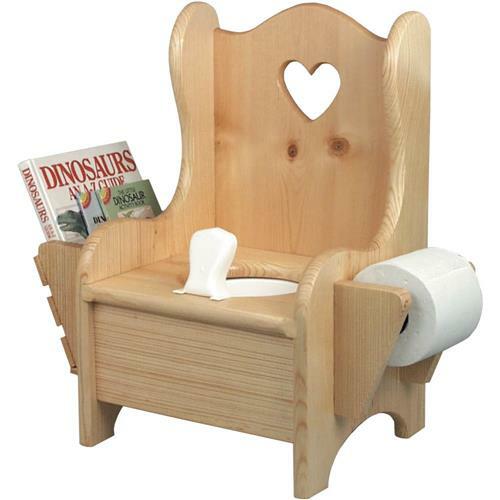 Practical and decorative, this potty chair is easy to make from common-sized boards. Has a toilet paper holder and book rack. 22" high. Chamber Pot (H7148), Squirt Deflector (H7149), and Toilet Paper Roller (H7150) are sold separately.Specifications:PlansNote: Due to their nature, plans are non-returnable. Defective plans will be replaced. Practical and decorative, this potty chair is easy to make from common-sized boards. Has a toilet paper holder and book rack. 22" high. Chamber Pot (H7148), Squirt Deflector (H7149), and Toilet Paper Roller (H7150) are sold separately. Note: Due to their nature, plans are non-returnable. Defective plans will be replaced.